It’s a celebration that has been 50 years in the making. The Geovisual Mapping Laboratory (GML) will host an open house Friday, Nov. 20, to commemorate its rich history and many contributions to the NIU community. “We will be sharing displays from each decade of operations here so visitors can experience the evolution of mapping, as well as a peek into our current plans for the future,” NIU cartographer Amanda Carew said. Carew, a 2007 NIU grad who majored in meteorology and geography, joined the NIU Department of Geography in 2015 after working in the private sector for more than seven years. “When I saw an opportunity for a career at NIU, I thought this would be the perfect time to go for my dream job of helping students and staff with projects, working on unique assignments and completing my master’s degree,” Carew said. 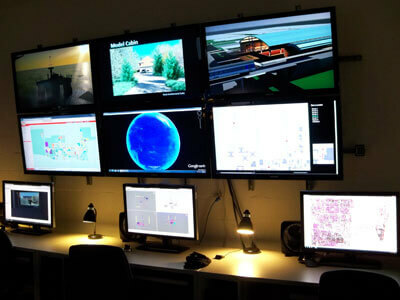 Formerly known as the Cartography Lab, the name was changed to the Geovisual Mapping Laboratory in 2012. The name might be new, but the history of contributions to NIU is not. For NIU students, this means an opportunity gain experience working with modern methods before leaving to pursue careers after NIU. 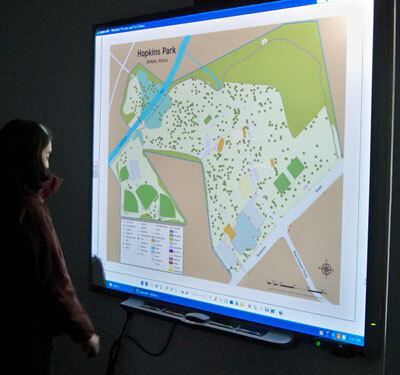 The lab not only offers digital and paper mapping products for the university, nonprofit organizations and government entities, Carew said, but it also has offered more than 200 students chances to learn by doing while working in the lab. Phil Young, Department of Geography research associate and GML director, shared the sentiment, adding that much of the lab’s success is a credit to the student employees. The open house takes place from 2:30 to 4 p.m. at the GML, located in Room 115 of Davis Hall. For more information, call (815) 753-6830 or email acarew@niu.edu.